This December, the Shoreditch Christmas Triangle brings together thirty local designers, shops, studios, galleries, cafes, restaurants and popup events in the Shoreditch area over the Christmas period. Every Thursday- 4th, 11th and 18th December- in the lead up to Christmas, there will be late night openings with music, mince pies and mulled wine aplenty as well as special discounts and a host of Christmas workshops and events. All the venues are within easy walking distance around the Shoreditch Triangle so head east and make a night of it. 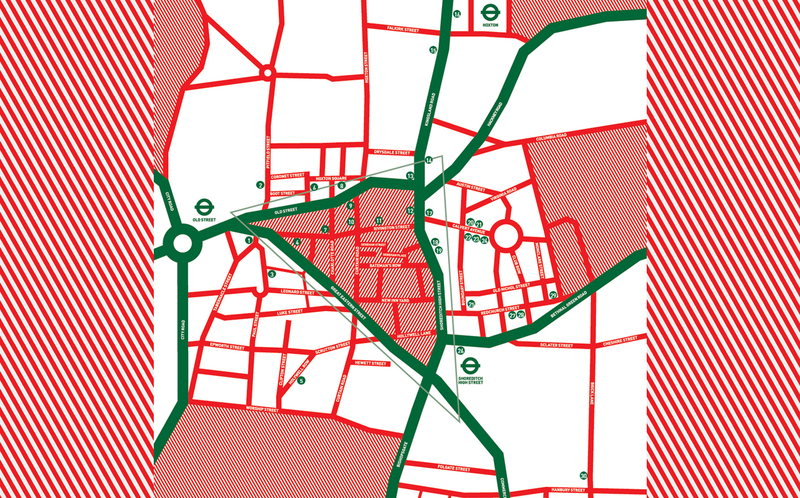 See a full listing of everyone involved here or pick up a copy of the Shoreditch Christmas Triangle printed guide in all participating venues. *Please check www.shoreditchdesigntriangle.com or contact stores directly for individual event details.